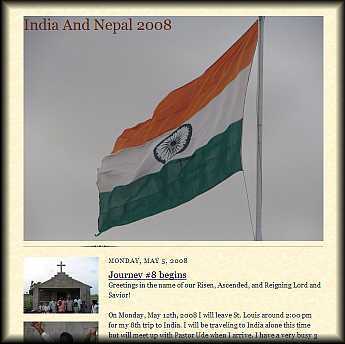 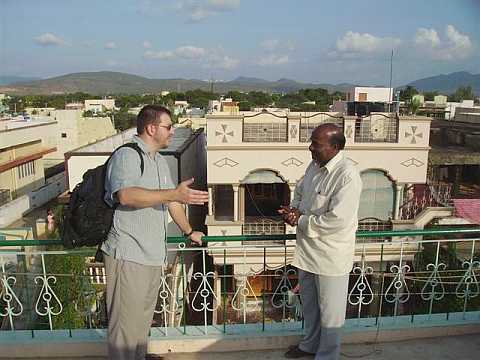 One of the highlights of the trip will be at the CLCI compound in Nidubrolu. 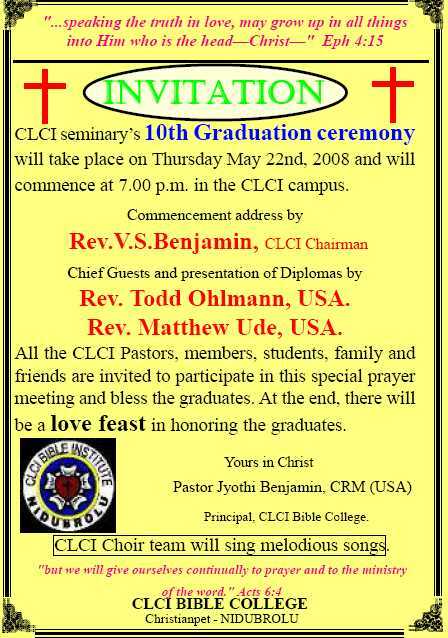 On May 22nd the CLCI will celebrate the 10th anniversary graduation of the Bible Institute there. 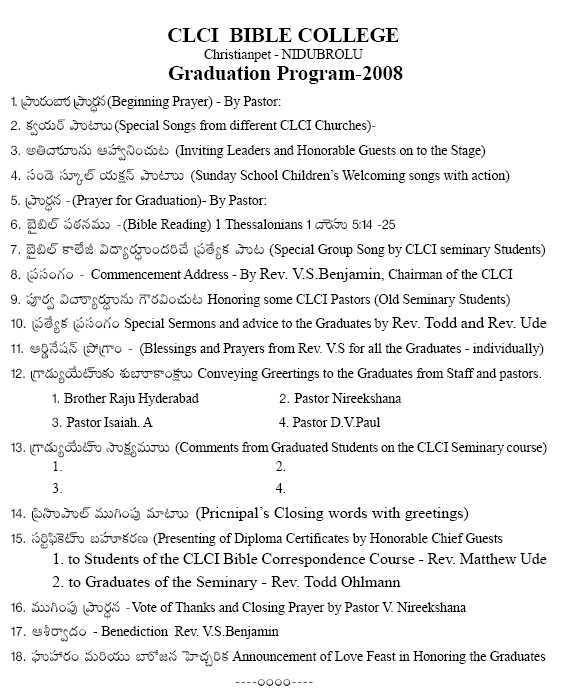 14 men will graduate from the seminary, while several others will receive diplomas from the CLCI Bible Institute Correspondence Course.